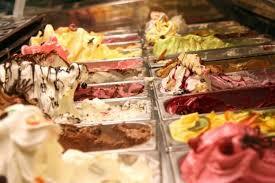 5 Best ice cream parlors in London. Everyone loves ice cream. If it’s a quick cone between your 2 hour shopping spree or a sit down share of a sundae with a special friend, Ice cream, does not fail to deliver. Here are a few of London’s best ice cream sellers, that will provide you with creamy interesting flavours that will keep you going for more. Shake Shack- The shake shack introduced a frozen custard which is similar to ice cream only slightly heavier. The options include Vanilla, chocolate or the flavour of the day with add ons such as nuts, fudge and brownies. Chin Chin Laboratories- This parlor makes their ice cream using liquid nitrogen. The flavour options include Pondicherry vanilla, Valrhona chocolate and two other changing flavours of the day, Their ice creams are served with toppings that come in science beakers. Paul a Young- You can purchase this ice creams at Camden Passage and Royal Exchange Paul A Young stores. The ice creams are sold in tubs and can be grabbed from their freezers. The Dark chocolate is a favorite, which tastes like churned 60% dark chocolate. 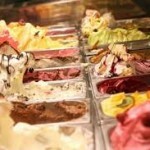 Scoop- If you are looking for ice cream on a budget without sacrificing quality or quantity, visit Scoop. Their ice creams are piled high even at the lowest price. They also offer waffles, crepes and Churros. Ruby Violet- This is a travelling van which provide creamy ice cream made out of organic ingredients. You can follow them on facebook or twitter to find out where they will turn up next. There chocolate and cherry flavours are a must try.